Hi, my name is Juan José Pacheco (you can call me "Pache"). I was born in Buenos Aires, Argentine. I'm 27 years old and I play chess since I was 6. Someone said that chess is something you never give up at all. My personal experience showed me that man was absolutely right. I left official practise when I was 17 and after a few years I thought of chess as something of the past. Then I discovered correspondence chess, yes, email chess. You may say it's better to play a few blitz games and have a good time, well, you may be right about that. Others can say that to play a game under tournament time (40 moves/2 hours) has incomparable sensations, they may be right too. Have you ever tried to find the hidden secrets of a position? Have you ever tried to find the "best" plan, not just a "good" plan? 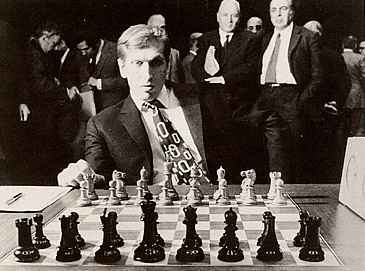 Have you ever improved an opening line that had been played by a grandmaster? Have you ever thought about the "essence" of chess? I have always thought that correspondence chess was too slow. Nevertheless, here we are, we have the Internet, we have electronic mail. You won't have to play a game for a couple of years, a couple of months will be enough! Well, I joined IECG (International Email Chess Group) and now I enjoy chess with new friends from all over the world. I've designed this page thinking about those chesslovers, no matter the way you practise it, no matter if you are Kasparov, a grandmaster, a coffeeclub player or a novice. This is a place to share things of our hobby in an interactive way, this page is open to every person who enjoys chess and friendship. News : I will try to publish in this section news about "email" and "live" chess from different parts of the world. PaChess Poll : The "evergreen" query. Who was the best? Vote for your favorite. Links : chess links, cool sites and friends. Remember all the sections are open to all, you can send me anything you want to be published. I promise more sections in further editions. I hope you enjoy PaChess Magazine, thanks for your visit and come back soon. "To the memory of my father, Miguel Angel Pacheco who encouraged me to play chess when I was a child, a great chesslover and the best father of the world."